Our members are dedicated to Boating Safety and Homeland Security. We conduct boating safety classes, perform courtesy vessel safety checks, visit marine dealers, and perform both safety and surveillance patrols. 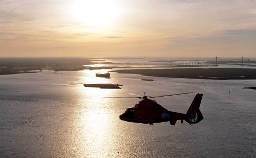 Additionally our members assist in active duty US Coast Guard missions, are active in Environmental Safety, Communications, and perform other missions as directed by the Commandant of the Coast Guard.